The SAP portal has been a part of the SAP landscape for over 10yrs. Over those ten years, thousands of SAP customers have embraced the portal and it has become an integral part of their enterprise landscape. Spyvee has been working with the SAP Portal over the product’s entire lifetime. From the early days of the Top Tier portal, until now. We have specialized in helping our customers stretch their imagination and embrace a creative way of thinking to fully maximize their use of the technology. The Fiori for SAP Enterprise Portal workshop is an intensive day long session where we will be able to collaborate with you to determine what your portal roadmap will be. We will start and understand your complete portal landscape. This includes what users access the system and what applications they are using and how they are using them. The end of the workshop will resulting a detailed road map to help determine what direction you can go and how Fiori can play a roll. One of the major aspects of any portal implementation is the content integrated with it. 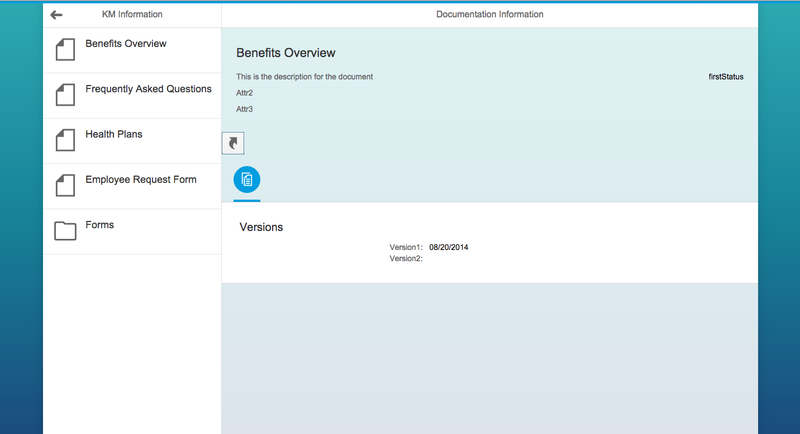 There are millions of documents integrated in the portal via SAP Knowledge Management. 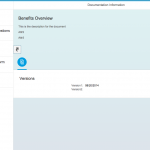 The Fiori for SAP Knowledge Management ( KM ) is a serviece which delivers applications that provide your users with a Fiori look and feel to easy access existing KM documents. There is no migration needed and no need to change any of the existing functionality. Fiori for SAP KM provides the users with a easy to understand interface and does not require any additional training efforts. Desktop and mobile devices can be used to access your documents.